• This black bi-fold from Nico is extra slim, vegan and only $20. Made from eco-friendly Tyvek paper. Super durable and waterproof. The Tyvek will stretch and soften over time and form a unique worn-in look. The Discerning Brute reader, Partick even investigated further to find that "only water-based adhesives were used" and "no raw materials used in Dura Edge were derived from animals." • Patagonia's Freebox jacket is made from recycled poly, it's water-repellent, and it looks cool. They've also got some great organic cotton, heavyweight flannels, and stocking stuffer socks for the outdoorsman who cares about the outdoors. • Remember the days that your parents would remember the days when their parents got milk delivered in glass bottles to their doorstep? Well, if you live in New York City, Ommilk can satisfy that nostaligic longing, but with creamy, protein-packed cashews and almonds. According to them Ommilk website, "We offer home delivery of our delicious almond and cashew milks on weekdays. Simply order $20 or more and have it delivered right to your door. You can email your orders to omilknyc@gmail.com." Chocolate Candy Cane Almond Milk: a mint, chocolate treat that is made with a homemade, dark chocolate syrup. Smooth & delicious: drink it on its own, add it to coffee, or gently heat it up and you have almond hot cocoa! Eggnog Cashew Milk Mixer: filtered cashew milk with spices: Just add bourbon, whiskey or rum and you have an instantly, impressive eggnog cocktail. TOKYO – In producing laboratory-scale samples of the world’s first fully renewable biobased PET fibre, researchers in Japan claim to have found a viable and more sustainable alternative material feedstock for the production of polyester textiles. 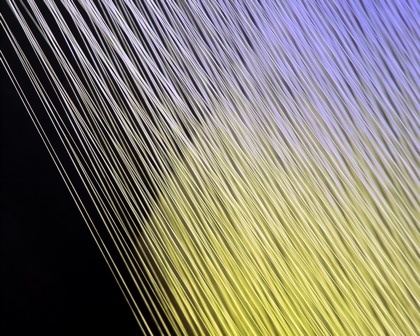 Samples of these fibres will be seen for the first time next month in Tokyo. • Get Healthy Fast! Gilt City is offering a vegan, raw, gluten-free cleanse at 40% off for New York residents. Click here. It's " one of the only cleanses that actually encourages detoxing with food. You’ll consume raw, vegan and gluten-free foods proven to promote healthy kidney function, eliminate free radicals and rebuild muscles. "